Snap rolled out a slew of new features, including AR Landmarks, Snap Games, expanded Snap Lens (computer vision) feature and Snap Originals at its first partners conference yesterday. Our story just went live a few minutes ago. Snap Demonstrating the power of AR in mobile advertising, Balti Virtual unleashed its creative marker based AR games for Bud Light and the Washington Capitols. 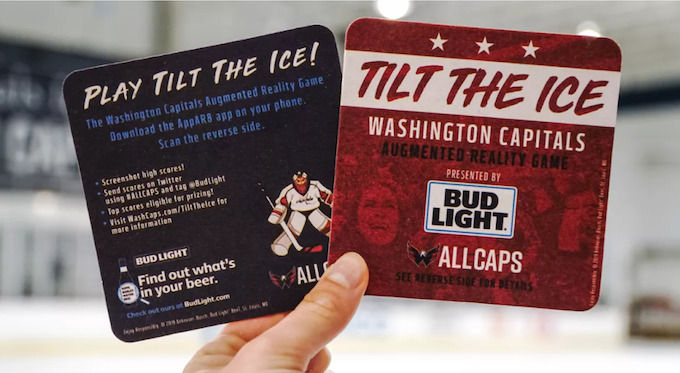 The new augmented reality game Tilt The Ice is activated by special Bud Light coasters found at bars throughout the DC area April 1-7 and at the Capitals games. Viveport Video launches on all PC VR and Vive Wave platforms. Valve announces its VR headset, the Valve Index. May 2019” and an image of a VR headset popped up on Valve’s Steam website. Viveport notwithstanding, Valve is the premiere distribution platform for PC games and VR experiences. Because of this, it is likely everyone interacting with Valve's VR platform will be hearing a lot about this new VR headset. Nintendo brings two of its biggest franchises to VR. 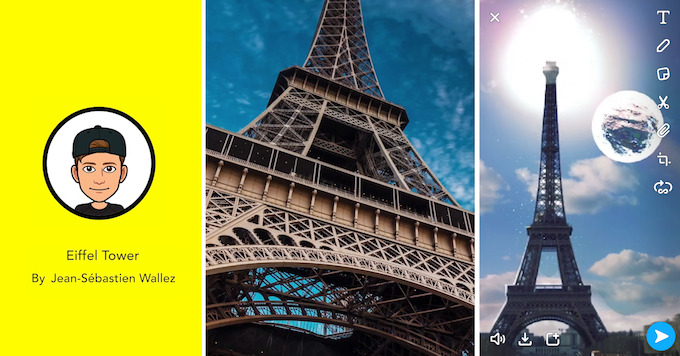 Snap rolled out a slew of new features, including AR Landmarks, Snap Games, expanded Snap Lens (computer vision) feature and Snap Originals at its first partners conference yesterday. The company is bringing AR to its most popular social features. Our story just went live a few minutes ago. Snap Landmarks make iconic places in 3D models which can be localized and manipulated in the camera with mobile AR. Demonstrating the power of AR in mobile advertising, Balti Virtual unleashed its creative marker based AR games for Bud Light and the Washington Capitols. Balti brings Bud Lite to life with mobile AR for the NHL. Balti Virtual launches AR app for NHL’s Washington Capitals. The new augmented reality game Tilt The Ice is activated by special Bud Light coasters found at bars throughout the DC area April 1-7 and at the Capitals games. Players control a goalie by tilting their coaster to block as many shots as possible. Tilt The Ice can be experienced by downloading the AppAR8 app and scanning Tilt The Ice Bud Light coasters this week. Psst. Balti? Free consulting: take a look at Snap Lenses….